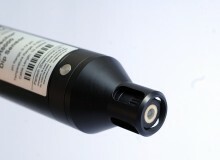 The SoliTechw² IL Sensor is the latest Partech product to be integrated into the WaterWatch² platform. 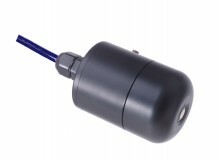 This sensor provides reliable and repeatable continuous inline measurement of Sludge Density, Suspended Solids and Turbidity. The SoliTechw² IL Sensor is compatible with our bestselling 7300w² Monitor. The connection to the monitor allows the sensor to be combined with other sensors from the WaterWatch² family including; WaterTechw² pH8000 pH Sensor, WaterTechw² Redox8000 Sensor and OxyTechw² GAL Sensor. The sensor is suitable for a variety of applications including the auto de-sludging of primary and final settlement tanks, where reliable sludge density measurement ensures that downstream treatment processes can operate at their optimum level. It is available in 2 ranges: 0-5,000 and 0-50,000 mg/l to ensure accuracy is maintained across a variety of applications. The sensor is installed through a mounting boss onto any pipeline that is larger than 65 mm diameter, the sensing element is positioned flush with the inside wall of the pipe. This ensures that the optical surface is kept clean by the flow passing the sensor and that the sensor does not cause an obstruction to the flow. The optical element has a sapphire window, this offers excellent resistance to fouling and to damage caused by the abrasion from particles in the flow. Need to find out more about this product? You can contact a Partech Sales Engineer today on 01726 879 800 to see if this product is right for your application.